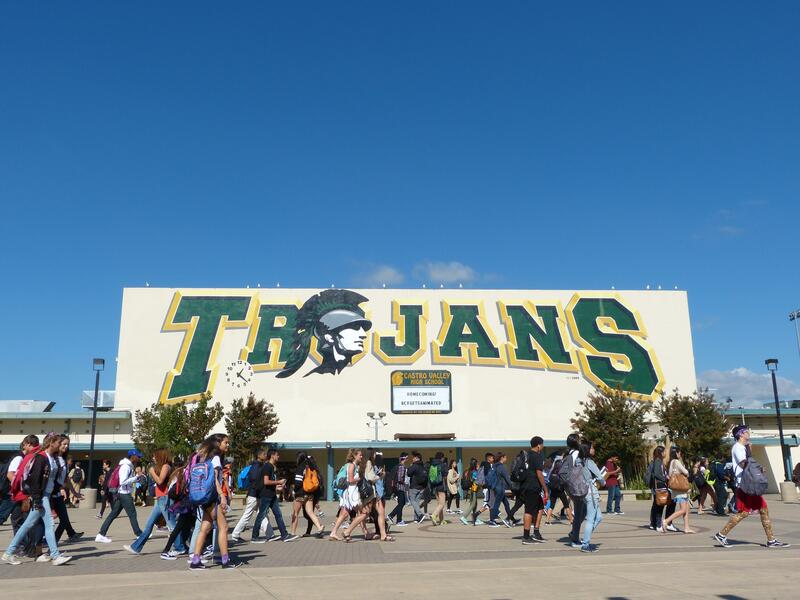 Castro Valley High School is a learning community formed by students, guardians, staff, and the community of Castro Valley. The Castro Valley High School community will accept responsibility for both academic and personal decisions that it makes. Learning to be self-sufficient will be encouraged and reflection will be emphasized. The curriculum will engage the students and allow them to analyze decisions, approach challenges, and celebrate successes. The Castro Valley High School community will strive to achieve respect by creating an environment where the rights of all individuals are acknowledged and accepted. The Castro Valley High School community will promote a safe environment in which all can learn and grow. CVHS will be a place where all students and staff are free from harassment and intimidation and where safe behaviors are promoted and practiced. The Castro Valley High School community will recognize that students come from different educational experiences and different social contexts, and that we approach our educational practices in different ways. This equity lens will be applied campus-wide when searching for the keys to unlock each student’s success. We will maintain transparency in this process and communicate our expectations to students, parents, and the community. In the Castro Valley High School community all individuals have a personal responsibility to do their best and to be truthful at all times. All members of the CVHS community will model and build on the importance of integrity through daily interactions.